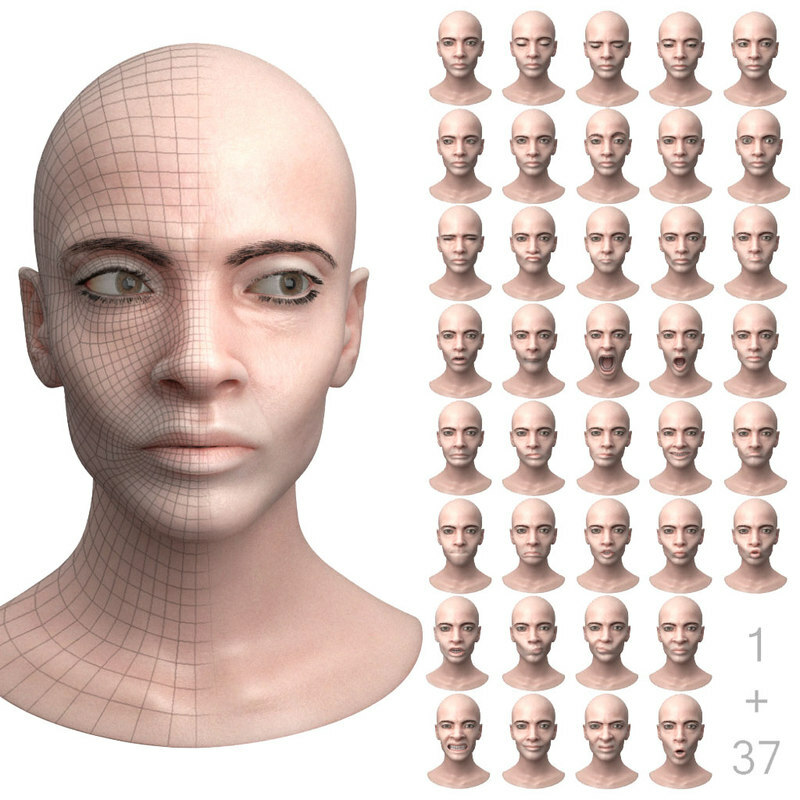 This asset includes one generic neutral female head mesh with superclean topology, along with 37 corresponding facial expression meshes in OBJ format, ready to be rigged in your app of choice or to be used for FACS related studies. A textured and animated version with eye lashes, brows, tongue, mouth geometries and a quick blendshape / morph target setup is provided via the accompanying FBX file and the Maya project, that was used to create the presentation images. Also included is a Marmorset Toolbag scene file. - FBX file version 2016/2017. - Textures are in the corresponding folders of their project files. - Displacement texture is an 32 bit 8K exr file, all other textures are either 1K or 2K png files. 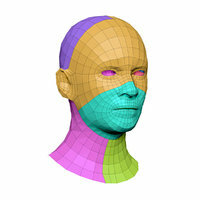 - In order to recreate the presentation images of this asset, you need access to the Arnold Renderer in your host app.